Webster Baptist Church is the largest lake-washed cobblestone structure in the country still being used for its original purpose. In 1991 it was placed on the National Register of Historical Places. 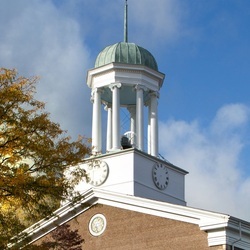 We are proud to have celebrated over 180 years of continuous ministry; In each era of history, Webster Baptist has had a vision for ministry, from the church’s inception in 1830 to the present. In the first quarter century, there was no building called Webster Baptist Church until the sanctuary was completed. In the 1950’s a new wing was added. However, we know the church is more than a building, it is people! We are visionary people looking forward to the 21st century of ministry opportunities and challenges for serving Jesus Christ in this community. We are located south of Route 104 and south of the four corners of the village of Webster on South Avenue/Route 250 next to the Webster Fire Department. Look for the stained glass windows, cobblestone exterior, church tower, and friendly faces!